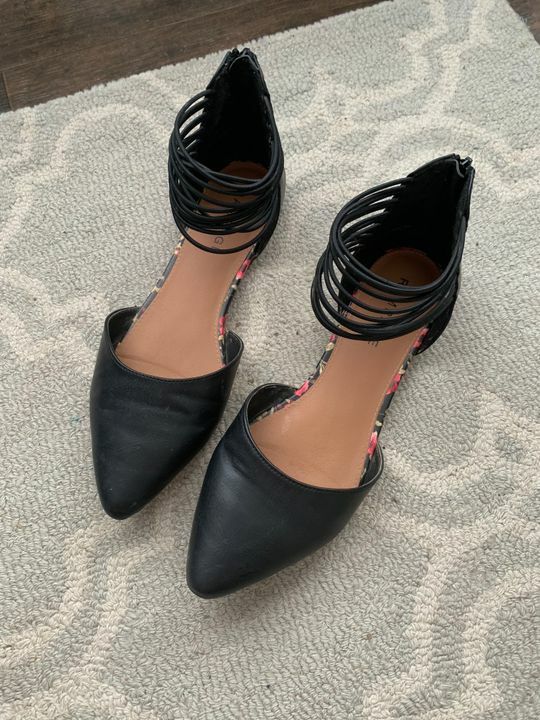 Complete any outfit with these stylish flats! Fit: True to size. Straps run fitted around the ankle. Fits true to size. And are comfortable to wear. I love these flats! They can be dressed up or worn with jeans. They are very comfortable and have proven to be super durable during these muddy spring days! They are irresistibly cute! So cute! Fit a bit big, but the ankle strap keeps them in place. Super, super cute but straps are tight around the ankles. Still haven’t had to actually wear these as it’s still cold but I tried them on and they feel comfy!!! So can’t wait to wear them out!! !